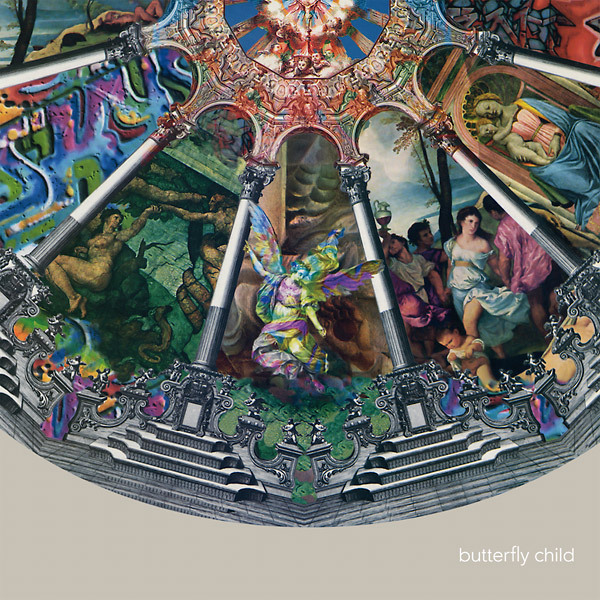 Originally released in 1993, Onomatopoeia from Butterfly Child got unfairly lumped in with a lot of what was making up the tail-end of the first shoegaze wave back when it was first put on the market. But, in fairness, the songs of Joe Cassidy here are richer and more classically-structured than lots of what was getting attention early in the Nineties. Finally back in print on both CD and vinyl thanks to the folks at the Dell'Orso label, Onomatopoeia reveals itself as a real, somewhat neglected gem from the pre-Britpop boom. A number like "Lunar Eclipse" owes a faint debt to early band champions A.R. Kane, as evidenced by the subtle rhythmic clip running throughout the song, while the more languid "One Lady Mississipp" sounds like nothing so much as what The Boo Radleys were drifting towards in the same era. Elsewhere, "Young Virgins Call For Mutiny" is gleefully laid-back, all trip-hop grooves made safe for rockers, while the epic "X: Celcius" is like something from Seefeel that's very nearly been stretched tighter. Cassidy, wisely, keeps a firm rein on this material, and for every number here that is in danger of drifting away ("Queen Glass"), there's another ("Triumphant") that is more concise and focused. The best tunes on this debut, like "Verte Ecole", for instance, stand up as some of the very loveliest numbers from the era, less shoegaze-y noise-attacks, than throwbacks to late Sixties songwriting styles. As we all know, Joe Cassidy pursued similar textures with later Butterfly Child recordings but there remains, truly, something magical here on Onomatopoeia. If the record didn't get quite enough attention back in 1993, maybe it will now, thanks to this fine set of CD and vinyl reissues from the Dell'Orso label. Onomatopoeia is out on Dell'Orso on Friday. More details on Butterfly Child via the band's official Facebook page.